Here, be one with nature at the Les Lacs campsite. This 3-star traditional destination invites you to stay right on the edge of a lake in Saint-Jean de Chevelu, just a few feet away from Aix-les-Bains. In the heart of this natural area, discoveries are the word of the day. Fall in love with comfortable accommodation, practical facilities (internet access, snack bar, grocery store, laundrette etc.) and make the most of its fun activities (play area, swimming in the lake, fishing). For a change of scenery, the Savoyard countryside opens its doors to you. Breathe the great mountain air, enjoy the cheeses of the region, taste the joy of the water sports, go hiking, criss-cross through the route of the great peaks, discover the famous passes and don't forget the regions amazing wines. Aix les Bains Railway Station (17 km). You can start your visit with a trip on foot or by bicycle to do the lakeside tour. 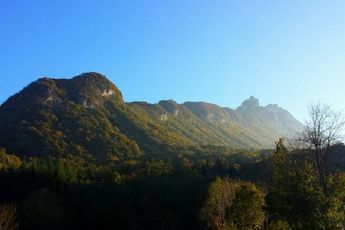 A hike of four hours will lead you through vineyards to the Col du Chat where you will discover a panoramic view of Lake Bourget and the Combe de Savoie. If you are particularly getting into the swing of things, then you can get to the summit in an hour and a half from the car park by the television broadcasting tower. You will be able to enjoy a sublime panorama with views of Mont Blanc, la Vanoise, les Bauges, Belledonne, La Chartreuse and, of course, Lake Bourget. On the return leg, you will have the opportunity to stop in a cafe in Saint-Jean to taste a delicious, freshly chilled Savoyard wine - and why not? If you are looking for something to accompany the wine, then what could be better than 'Savoy diots', a regional sausage with an onion sauce and white wine, served with steamed potatoes. Near to the campsite, fishing enthusiasts can try to catch gudgeon. At a distance of only a few kilometres, you can indulge in numerous water sports at Lake Bourget. At only 10 km from the lake, Hautecombe Abbey, founded in the twelfth century, is a highly recommended destination. It houses the last resting places of the princes and princesses of the House of Savoy as well as the last king of Italy. By car, you can choose between the Wine Routes of Savoy and discover the great Alpine Lakes, such as Lake Bourget of course, but also Lake Annecy and Lake Aiguebelette. 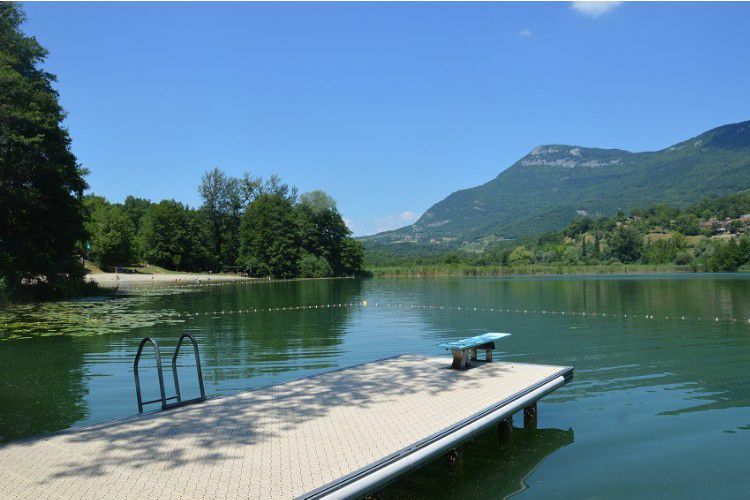 At Aix-les-Bains, you will be spoiled for choice in terms of water-based activities. And maybe you will succumb to temptation and try your luck at the Casino. You can also opt for a tour of Annecy, which lies only half an hour away. Do not miss out on visiting the old part of town or taking the opporuntiy to enjoy a boat trip on the lake. In the old town, dominated by the castle, lose yourself in the pedestrianised streets which are lined with arcades.